Pump blockages and rags are a significant barrier to energy and operational efficiencies at pump stations, causing unscheduled shut downs, safety hazards for operators, costly equipment repairs and increased power usage due to a decrease in the pumps’ hydraulic performance. 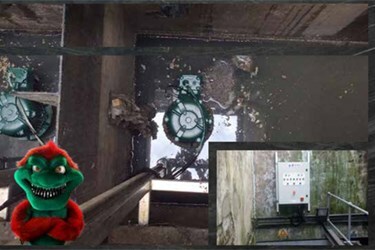 Scottish Water observed these negative effects caused by an influx of wipes and rags throughout a network of area pump stations. Engineers looked to a proven, powerful solution in the form of two JWC Environmental Channel Monster® grinders at one of their most problematic sites.